Mar Cerdis an artist who paints watercolor illustrations for Spanish children's booksand guides to Barcelona. 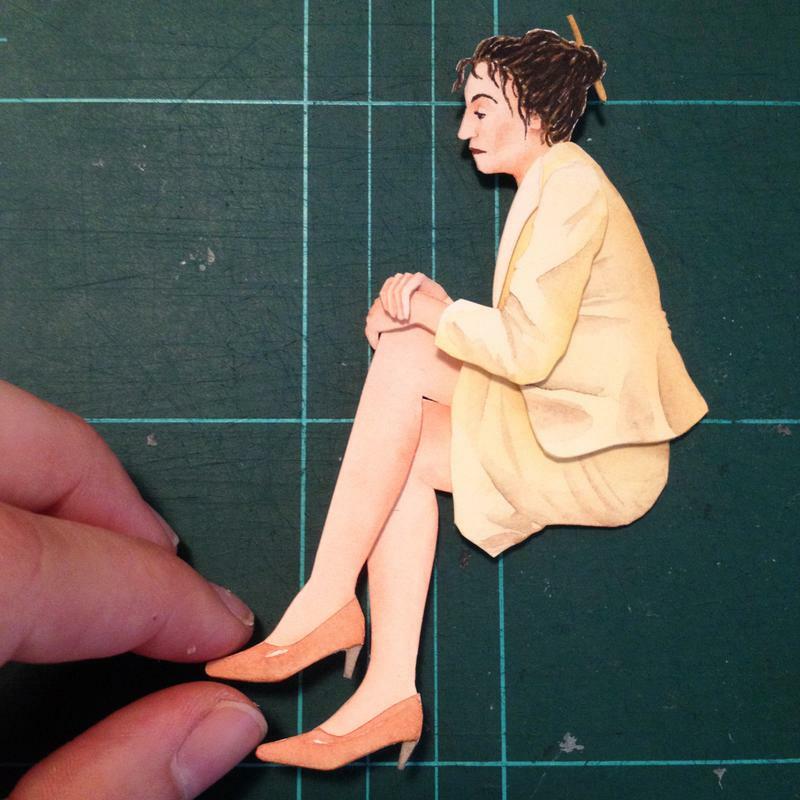 While her published work is primarily two-dimensional, in her spare time she likes to make3-D paper dioramas. 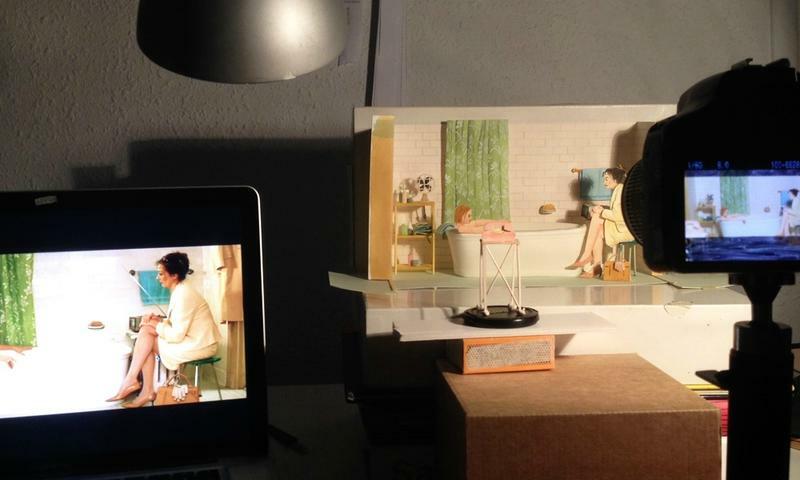 Margot Tenenbaum in the bath at left, with a seated Etheline Tenenbaum at right. Cerd is strict about details, going so far at to match colors, prints, textures and framing of each scene. 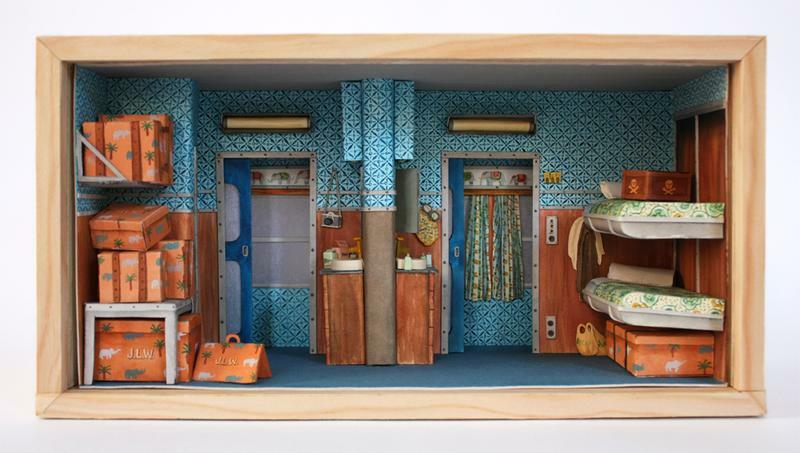 She's also recreated the sleeper car set from"TheDarjeeling Limited." I love that not only the physical spaces are replicated, but so are the set dressing and props (like the goggles below). 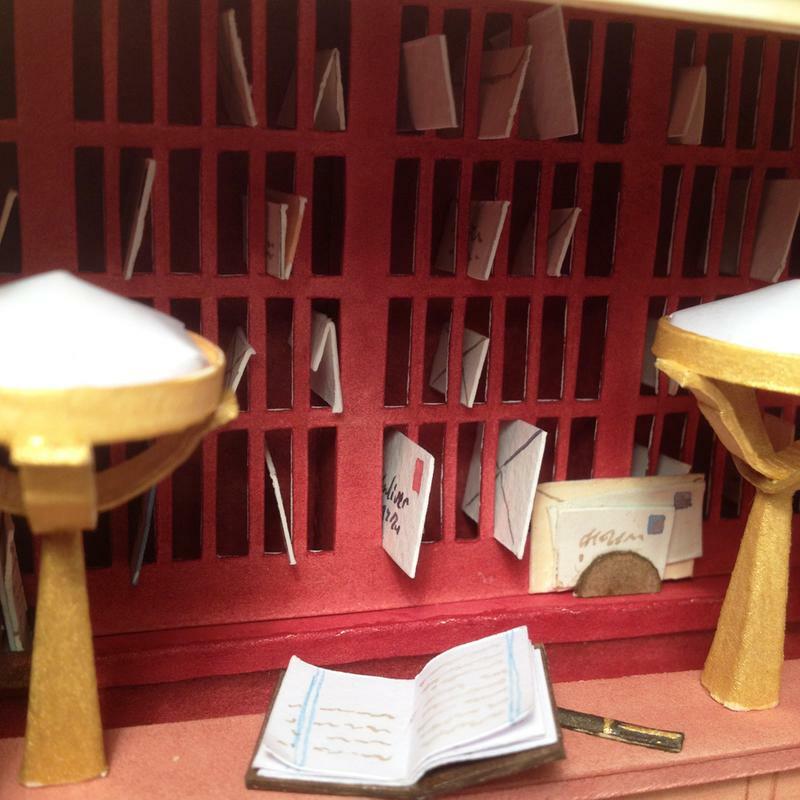 Cerd also recreated the concierge desk from Anderson's most recent film,"The Grand Budapest Hotel." 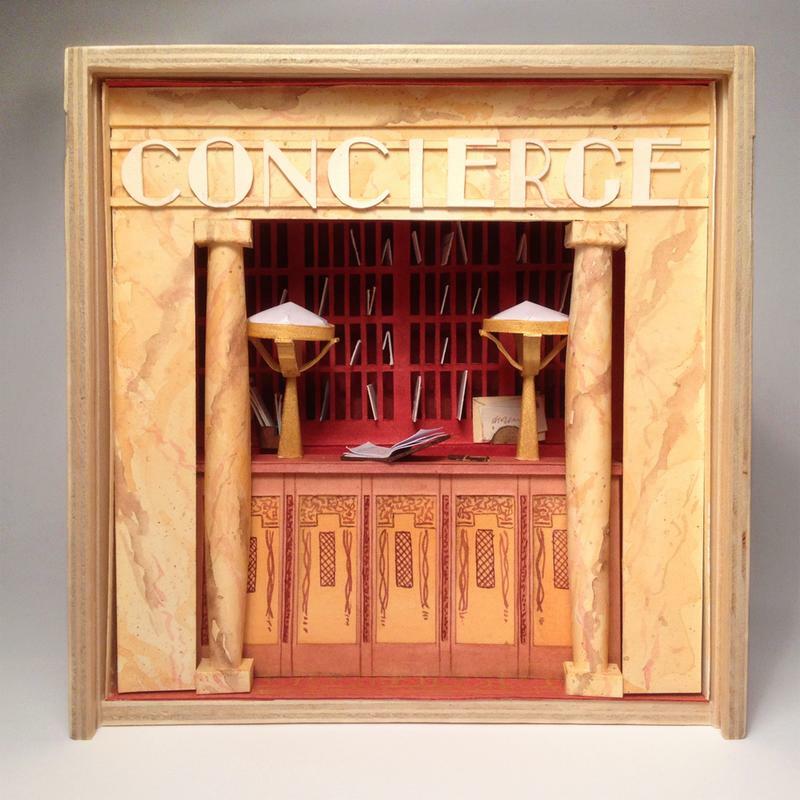 Mar Cerd's diorama of the iconic concierge desk from "The Grand Budapest Hotel"
They are all so sweet, I wish I could see them in person. And just in case she's taking requests --- Ms. Cerd, I'm a very big "The Life Aquatic"fan. Just sayin'. 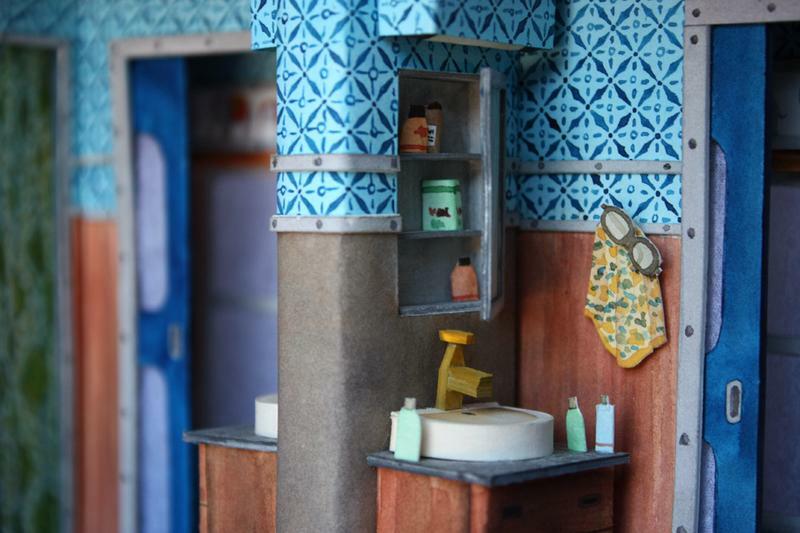 Bonus tip: If you're a Wes Anderson fan, you will likely really really dig this online gallery show called "Bad Dads"from Spoke Art. 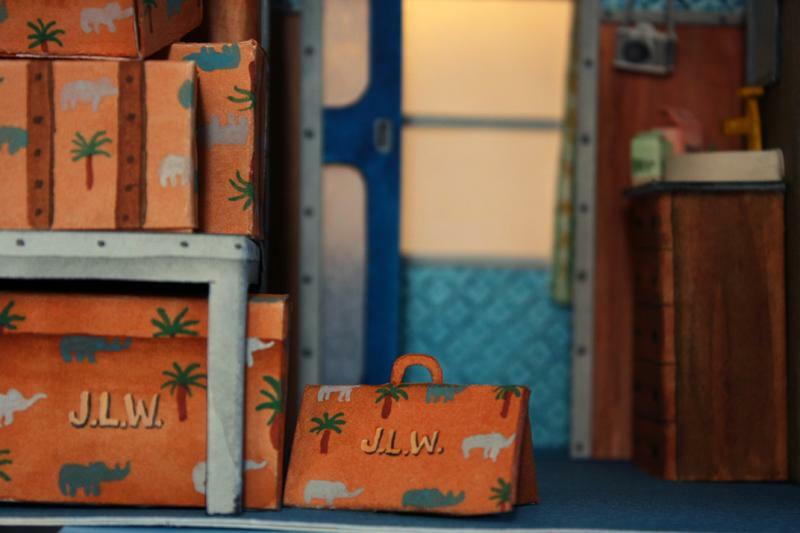 A few of MarCerd's dioramas are included, along with a lot of very dope fan art.